Superior vehicles and expert services. 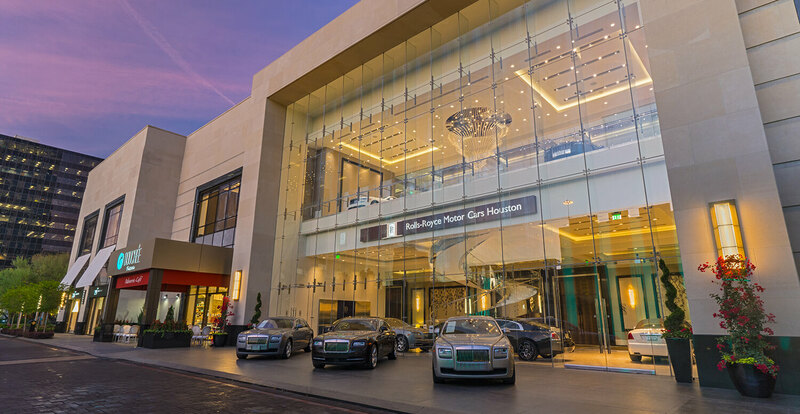 Located at the Post Oak Hotel, Post Oak Motor Cars is home to Bentley, Rolls‑Royce and Bugatti Houston. Adding distinction to The Post Oak is a two-story luxury showroom of exquisite Rolls‑Royce automobiles from Rolls‑Royce Houston. Designed to display the latest and most immaculate automobiles, the open-concept space features floor-to-ceiling windows that highlight the beauty of each Rolls‑Royce model. Rolls‑Royce Houston is the largest factory-authorized Rolls‑Royce dealership on the Gulf Coast and caters to athletes, celebrities and elite clients with its substantial inventory of both new and pre-owned luxury automobiles.